We are an experienced, professional canoe trip outfitter based in downtown Ely, MN. Ely is the gateway to the world-renowned Boundary Waters Canoe Area Wilderness. Sharing the wilderness is our passion. Our trail-wise staff, quality ultralight outfitting equipment, and outstanding personalized service connect people with life-changing canoe adventures that re-energize, restore, and rejuvenate. Book today for your ultimate Boundary Waters Canoe Area Outfitting. We pride ourselves on providing top notch customer service, expert routing, and making trip planning fun and simple. We specialize in sharing skills for exceptional first experiences. Our complete outfitting package is our best value. We take care of the details. You focus on the fun! The complete outfitting package is the best way to ensure you have everything you need for your self-guided adventure. The only things you need to bring are the things you will wear and a first aid kit. We outfit you with the best ultralight Kevlar canoes, PFDs, waterproof maps, lightweight tents, sleeping bags and pads, compass, pots/pans, utensils, camp stove, water filter, camp chairs, pack saw, a food kit and portage packs to carry everything for your entire journey. We will provide you with a detailed list of what you need to bring with every booking. 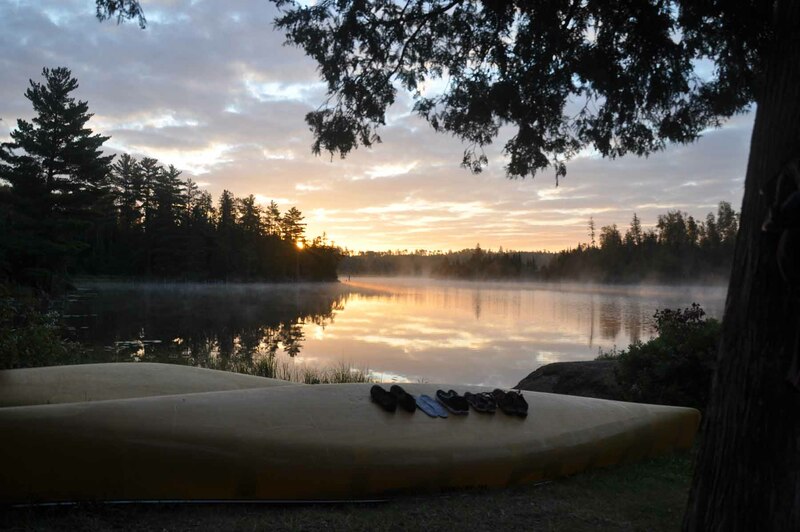 With thousands of miles of canoe and portage trails, the BWCA offers an adventure for all. 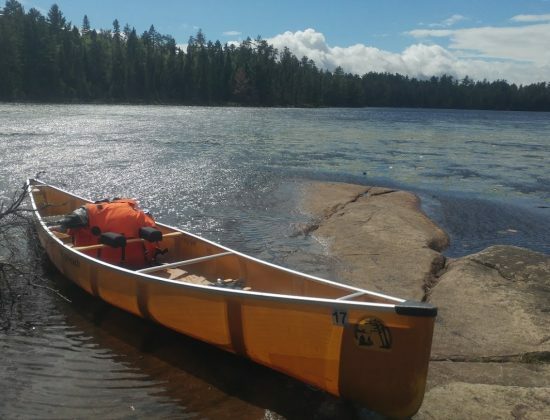 Whether you desire a challenging trip over many miles paddling dozens of lakes and rivers and taking in scenic waterfalls, or a peaceful paddle to observe ancient pictographs, the BWCA has endless options. We are experts at complete route planning for your ideal adventure. Once you have submitted your rental request, please click on the Trip Planning link to provide information for us to help you build your route. Q What is the BWCA? Make just one trip to the Boundary Waters Canoe Area Wilderness, and your life will be changed forever. 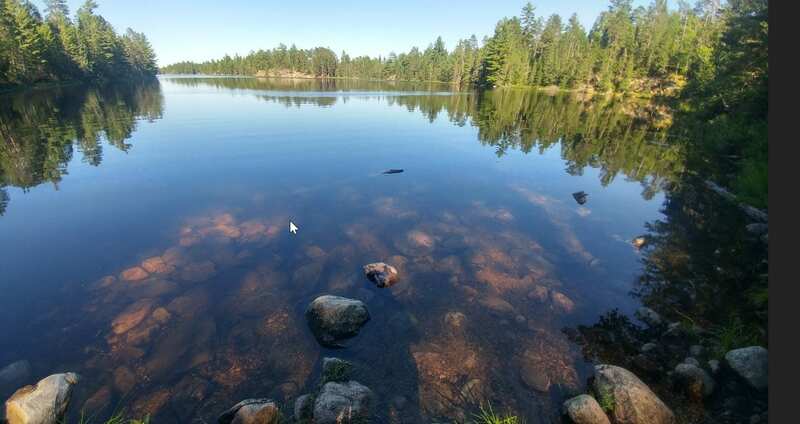 This pristine 1M acre wilderness extends along 150 miles of the US/Canada border in Northern Minnesota. The region looks much the same as it did in the early 1900s when preservation efforts began. It’s 1,100 lakes and hundreds of miles of rivers and streams (water makes up 20% of the total area) makes it a one-of-a-kind destination for canoeing, hiking, camping and fishing. The 1,200 miles of BWCAW canoe routes are historic travel ways of native peoples. You will step back in time traveling the historic routes of the native Sioux and Chippewa people, as well as early explorers, French Voyageurs, trappers, and prospectors. The BWCAW appears mostly untouched by human hands - there are no roads, signs, docks, cabins, or lodges. And motors are prohibited in the interior of the BWCAW. 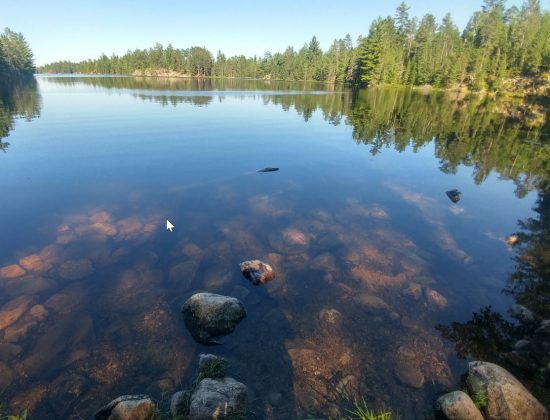 Days consist of paddling tranquil lake after lake, portaging canoes between the lakes on historic routes traversed by early fur traders and shared with wildlife, and setting up camp in one of the 2000 backcountry campsites perched on the glacial lakes. If you are lucky, you may spot one of the resident moose or hear wolves howling at night as you tuck into your tent. One incredible call you have a good chance of hearing is the haunting song of the loon. These aquatic birds are an iconic symbol of the Boundary Waters (and the MN state bird), and their distinctive calls can be heard echoing across the lake in the early evening hours. 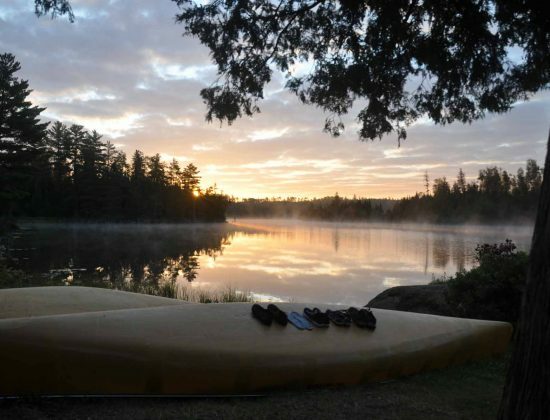 With thousands of miles of canoe and portage trails, the BWCA offers an adventure for all. Whether you desire a challenging trip over many miles paddling dozens of lakes and rivers and taking in scenic waterfalls, or a peaceful paddle to observe ancient pictographs, the BWCA has endless options. The US Forest Service manages the BWCAW, and visitors must obtain an entry permit and follow certain rules and regulations. Q Do I need a permit to access the Boundary Waters Canoe Area? A quota entry permit is required for overnight BWCAW trips from May 1 through September 30. The quota system limits how many groups can begin a trip at each of about 70 entry points each day. There are over 70 entry points to the BWCAW and the number of permits available for each entry point varies from only one permit per day to several dozen permits per day. Most entry points have around five to seven entry permits available per day. We will help you with route planning so your trip fits your group's interests and expectations. We can also reserve your permit. Advance entry permit reservations are strongly recommended because of the limited number of quota entry permits. Permits for summer 2018 are currently available on a first-come, first-served basis. The longer you wait to have us reserve your permit the more flexibility you may need to have for your preferred entry point or entry date. Groups may only enter the BWCAW on the entry date and through the entry point specified on their entry permit. Permits may only be picked up the day before, or the day of, entry, by the trip leader or alternate trip leader designated on the reservation when it was originally made. One permit is valid for a group of up to nine people with up to four watercraft. Permits are not transferable. Call us at 218-343-7951 for information on permit availability, and we will reserve your entry permit. You can also check permit availability and reserve entry permits at www.recreation.gov. 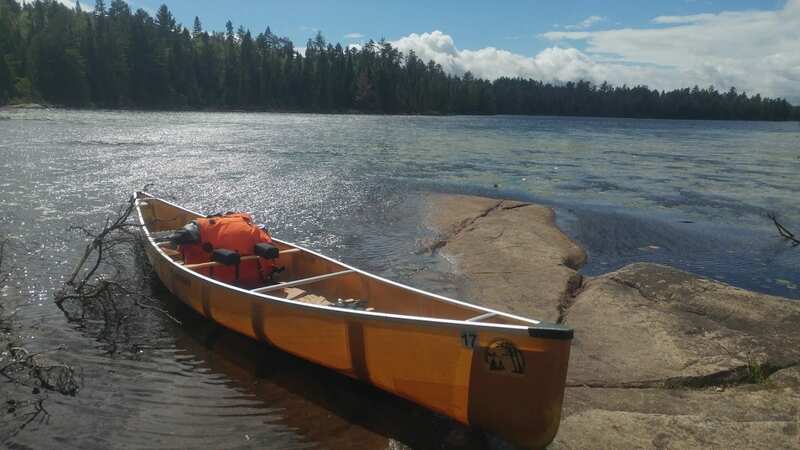 Non-quota self-issued permits are free and required year-round for day use BWCAW visitors not camping in the Wilderness, and for all overnight visitors entering the BWCAW between October 1 and April 30. In addition, a nonrefundable USFS permit reservation fee of $10 per permit is required, and we charge a nonrefundable $10 permit acquisition fee for each permit we reserve. Q What are some important BWCA rules and regulations? Keep in mind that cans and glass bottles are not allowed in the BWCAW. Containers of fuel, insect repellent, medicines, personal toilet articles, and other items that are not foods or beverages are the only cans and bottles you may keep in their original containers. Also, no more than 9 people and four watercraft are allowed to congregate together in the BWCAW at any time. Q What are the shuttle options? It is typical to cartop your canoe using our free tie-down supplies. However, if you prefer, we can shuttle you and your canoes and camping equipment to and from your BWCA entry point. Depending on the distance, an additional cost may apply. If your trip ends at a different place than you started, you have two options. 1) We can shuttle you to your entry point and then pick you up at the exit point at a predetermined time when your trip ends. Your entry and exit points will determine whether additional fees apply. 2) You can do a "chase shuttle." With a chase shuttle, you follow our shuttle vehicle to your exit point and leave your vehicle there with the equipment to tie canoes on top of it. We then shuttle you to your entry point. A chase shuttle allows you more flexibility because you do not have to meet a pickup shuttle at a specific predetermined meeting time. An additional fee may apply. Q What is the boundary waters (BWCA) weather like? The summer months between May and September are the most popular, but the BWCA is visited year round. Our favorite time in the Boundary Waters is late August and early September. The mosquitos that are in full force in the peak summer months have typically eased off by late August. The days are usually still warm enough to enjoy a swim in the pure water. Q Do you provide Boundary Waters (BWCA) Maps? Yes, detailed waterproof navigational maps are included in the complete outfitting package.